Millennium Tower condo owner Frank Jernigan, who lives on the 50th floor of the sinking, tilting high-rise with his husband, Andrew Faulk, says nothing is being done to fix the problem amid all the finger-pointing. But finding fault may be the key to funding a fix. 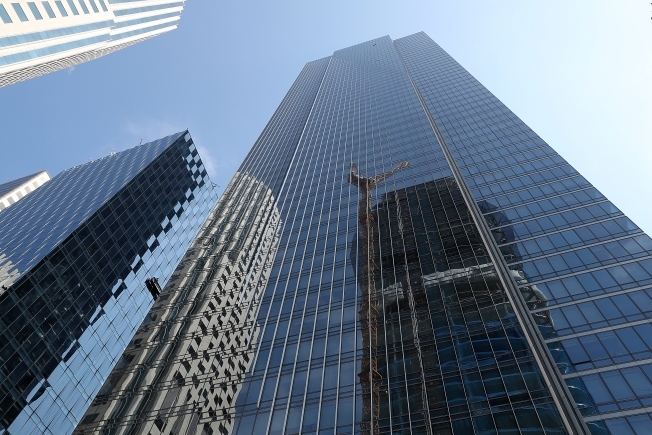 NBC Bay Area’s Investigative Unit has uncovered documents that could mean San Francisco taxpayers will be in line to pay to fix the sinking and tilting Millennium Tower. Earlier this week, City Attorney Dennis Herrera sued the developers of the 58-story project for failing to disclose the sinking problem to would-be buyers. The building began sinking before construction was completed and has now settled some 16 inches. The tower is now leaning two inches at the base because of uneven settlement. The developers, Millennium Partners, point to the publicly funded Transbay terminal as responsible for the sinking problem, saying construction of a 30-foot thick underground wall between the two projects resulted in a “staggering” amount of water loss from under the tower. Water loss causes the soil to compact or consolidate. Transbay officials blame Millennium’s faulty foundation that is not tied to bedrock for the problem. They say the sinking started well before the start of the $58 million underground wall between the two projects. Who wins the fight could have a bearing on who pays. That’s’ because of a 2008 easement agreement that shows that taxpayers will have to pay for any repairs to the Millennium for damage brought on by the wall’s construction. NBC Bay Area obtained correspondence that shows that the Millennium developers wanted the wall to be redesigned to avoid uneven settlement. They pointed to what they asserted were the conclusions of Transbay’s own consulting firm that the wall could make the sinking problem worse. Hood said that such settlement would be enough to “damage under-building utility connections, sidewalks and architectural details.” Hood asked about a redesign of the wall and for other measures that could limit the damage from uneven settlement. In a statement to NBC Bay Area, Transbay denied their consultant had ever predicted 3 inches of uneven settlement caused by the wall project, as suggested by Millennium in its letter of 2010. They would not answer questions related to Millennium’s assertion, however. Transbay officials acknowledged they did not redesign the wall or take the other protective measures envisioned by Millennium officials. They reiterated their stance that the decision to not to base the tower foundation in bedrock was the root problem. Veteran geotechnical engineer Larry Karp agreed with that assessment. But, he told NBC Bay Area, the wall on the south side of the tower may have contributed to the uneven sinking because it shored up that side of foundation against water loss while the foundation on the north and west vulnerable to settlement from lost water. While the dispute over the building rages, Jernigan’s husband, Andrew Faulk, says owners are left wondering if the sinking could imperil the building in a quake. He said Millennium officials told them that foundation was state of the art and would protect them from even a major quake. Karp said Millennium made a critical error when they opted to leave the foundation design in place after converting what was a lighter steel structure to a 50 percent heavier concrete tower.